The best carry-on bag is the one that lets you fit in as much as possible while allowing you to breeze through check-in. 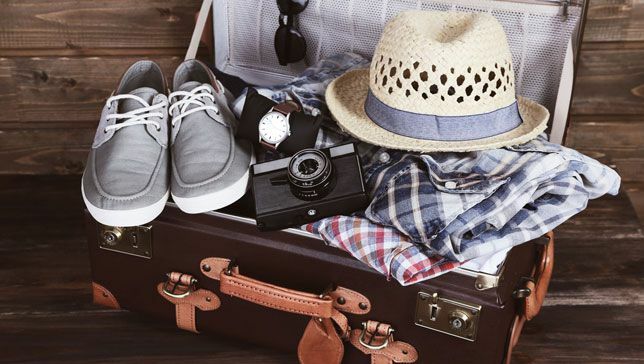 With Airlines like EasyJet only allowing one cabin bag on board, you need to find the perfect suitcase to fit all your things and have them just a ziplock away. Luckily, there’s plenty of choices out there, but how do you sort the good from the bad? Moreover, there is no one-size-fits-all solution. 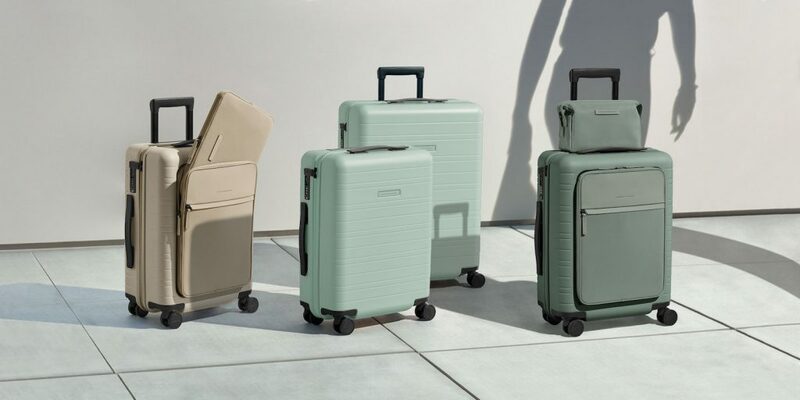 That’s why we’ve sorted the best carry-on bags out there in four handy categories: a tech-savvy heaven, the stylish traveller, oh-so-practical, and suitcases for the more budget-conscious. 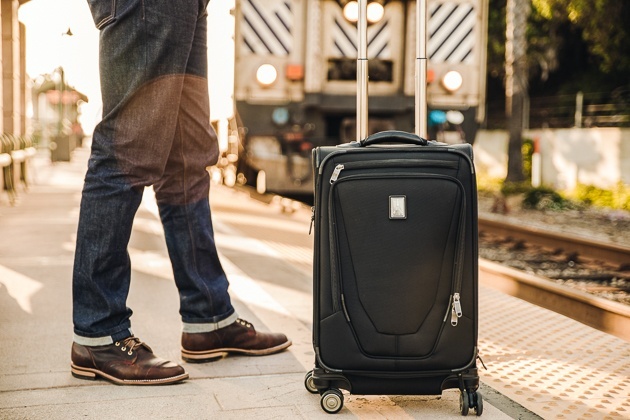 Whether you prefer a protective hard-sided suitcase or want the flexibility of a softer structure, we’re sure one of the options below is going to be right up your alley! The Passport carry-on is a practical and reliable choice for business travellers, as well as the more comfort-oriented customer. Interesting features: the open-lid compartment that provides quick access to electronics and travel documents. It easily fits a 15’’ laptop as well as a small tablet. If you’re thinking the external Oxford fabric front cover would not be enough protection for your Macbook, worry not! The fabric has 4 levels of water resistance, making it as safe as it could possibly be. 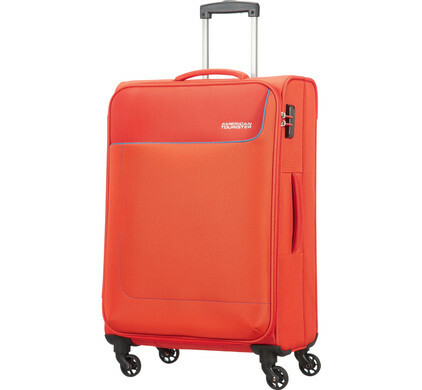 Double spinner wheels and the “one-button” locking handle system make this luggage a dream to carry. It also comes with a worldwide 10-year warranty. Interesting features: a hard shell made from high strength polycarbonate, which is the same material used in bullet-resistant windows (!). Even if the baggage handlers are extra tough with it, there won’t be a scratch. The padded open exterior compartment can also be used to store your laptop. For small space owners who never want their bag’s size to get in the way. 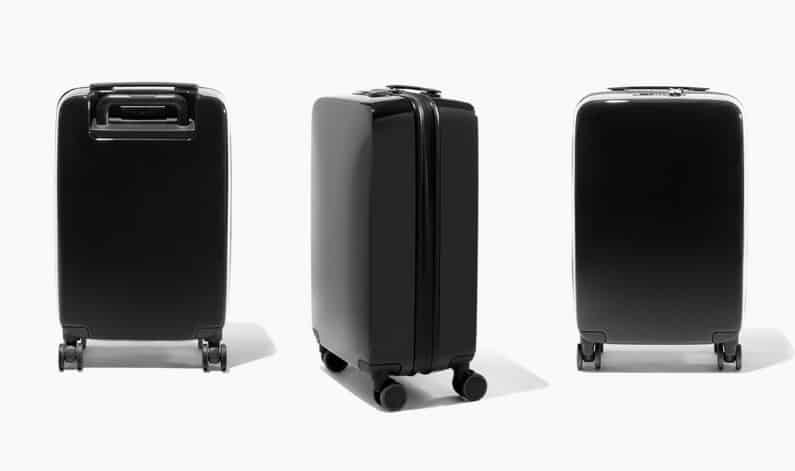 Interesting features: taking tech to the next level, this suitcase folds flat for easy storage when it’s empty. The wheels can be removed too. That way, you can easily store it under your bed or hang it in your closer using its hangable handle. 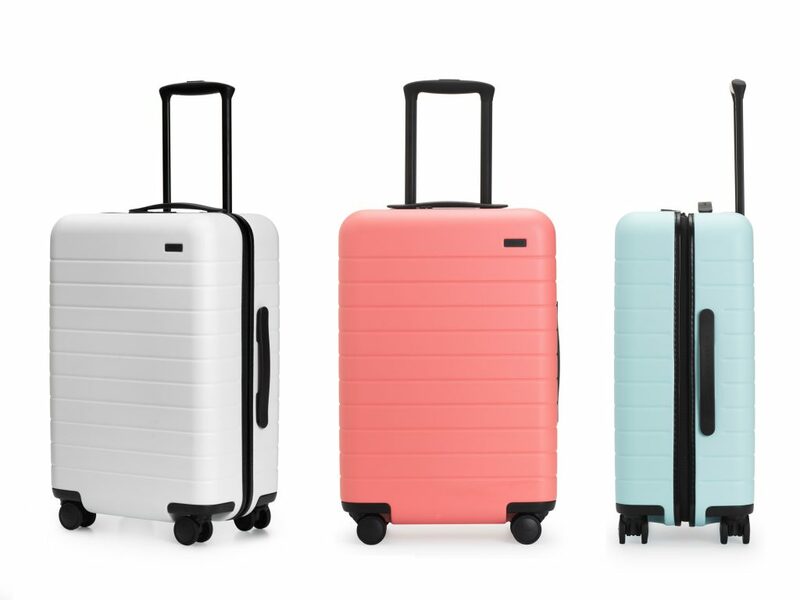 A stylishly designed luggage balancing beauty and durability that comes with complimentary amenities. Interesting features: in-built weighing scale handle and two micro USB ports – perfect for charging your devices while out and about. When paired with the Raden app, you can weigh the bag just by lifting it or find out its approximate location if lost. For the more fashion conscious who don’t want to sacrifice style. These cabin bags look so good you won’t want to check them in! If you’re looking for a bit more class and quality, the Delsey Chatelet might just be for you. 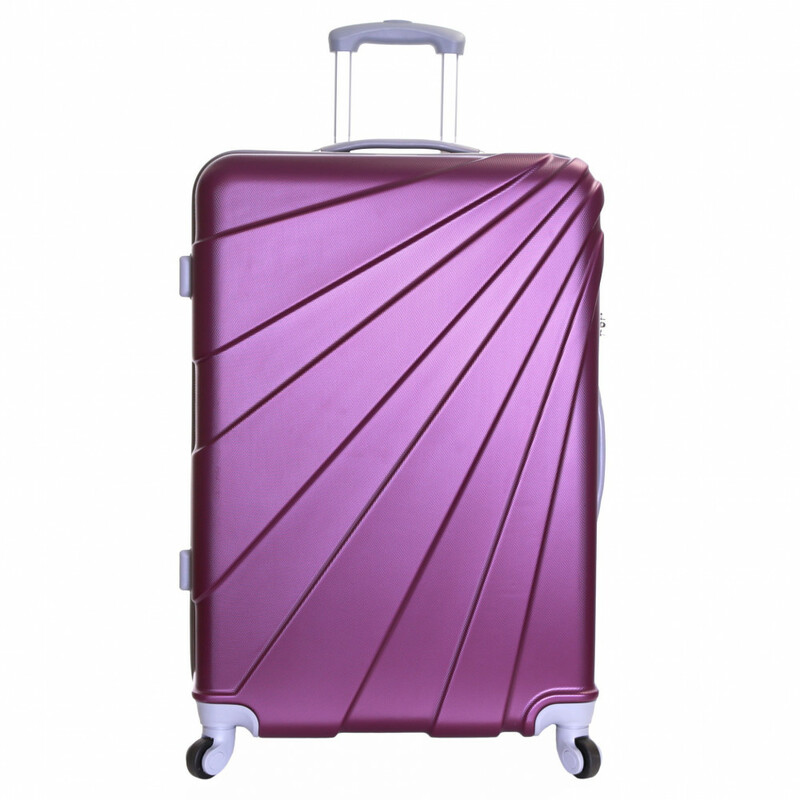 Interesting features: the stylish top-end features, the luxurious interior lining, two zippered enclosed sides and the silent Japanese spinner wheels make this suitcase stand above all other models. Available either in champagne or chocolate. Style and simplicity, these are the to words that come to mind when seeing an Away bag. Interesting features: the indisputable queen of Instagram, Away sources their materials from Germany and Switzerland to make sure the price matches the quality. If you want to make it extra fancy, you can add a monogrammed tag for a tenner. One of the most attractive suitcase brands, Horizn Studios also packs a bag with a few practical tricks. Interesting features: the silent Japanese 360° spinner wheels, meaning no more turning heads at the airport for the wrong reason. 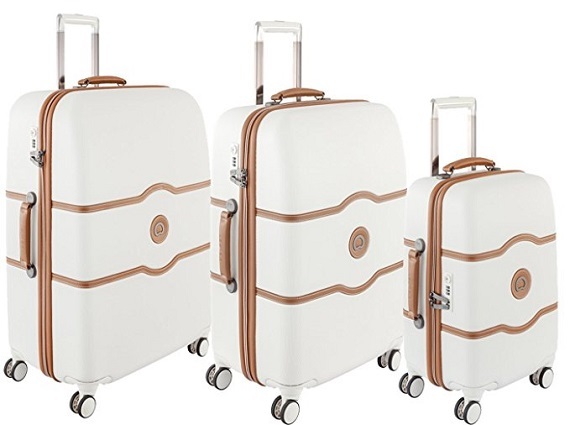 If you’re mainly interested in space and practicality, the suitcases below are going to make sure you’ll never find yourself with a suitcase that won’t close because of an extra pair of shoes. Voted best Carry On Bag by Travel & Leisure and Fodor’s Travel, Genius Pack’s carry on with an array of features designed to free up as much space as possible. Interesting features: the G3 comes with a collapsible laundry compartment, actively freeing up space for your souvenirs, a built-in packing list and dedicated pockets for underwear and socks. Packing AND unpacking have never been this easy. Also available as a soft case here. Best carry on for the sophisticated man. 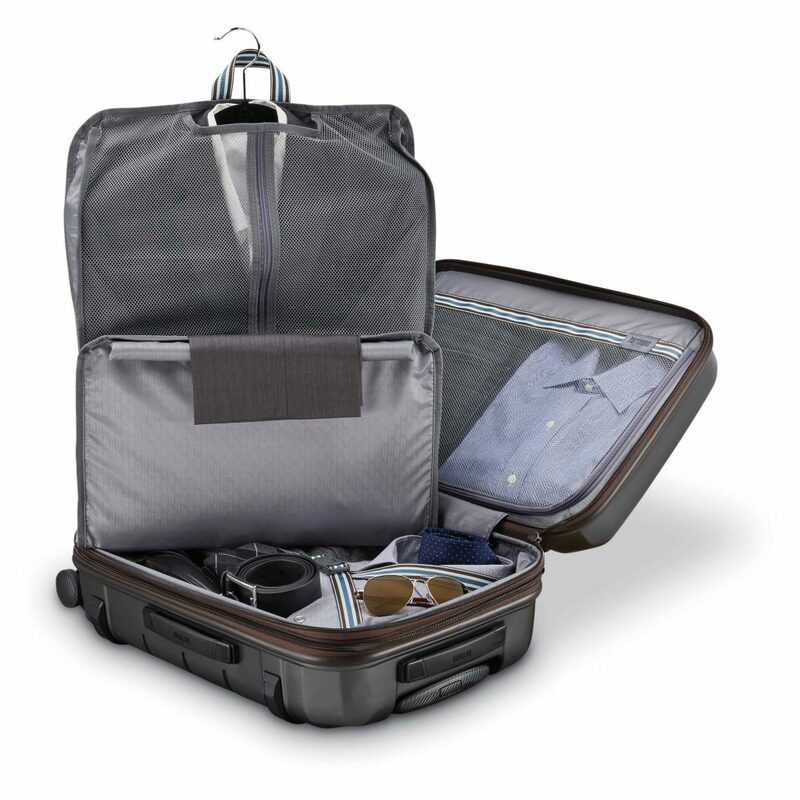 Interesting features: the striking exterior design is accompanied by a removable trifold suiter, which makes it easy to transport your clothes, wrinkle-free. Pack like a flight attendant. 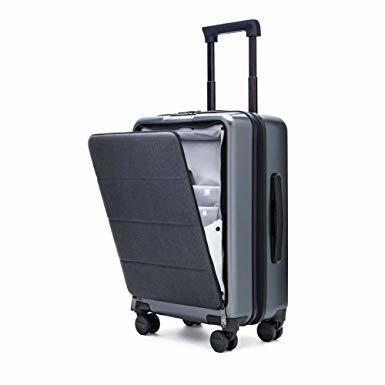 Interesting features: it might be not the most stylish suitcase out there but, as the name suggests, this is the go-to luggage for cabin crew staff thanks to its durability, ease to manoeuvre, 360-degree dual spinner wheels, a dedicated power bank pocket, as well as an external USB port. The rugged water, stain, and abrasion resistant ballistic nylon exterior is the icing on the cake. the perfect mix between a full on carry-on luggage and a decent sized backpack. 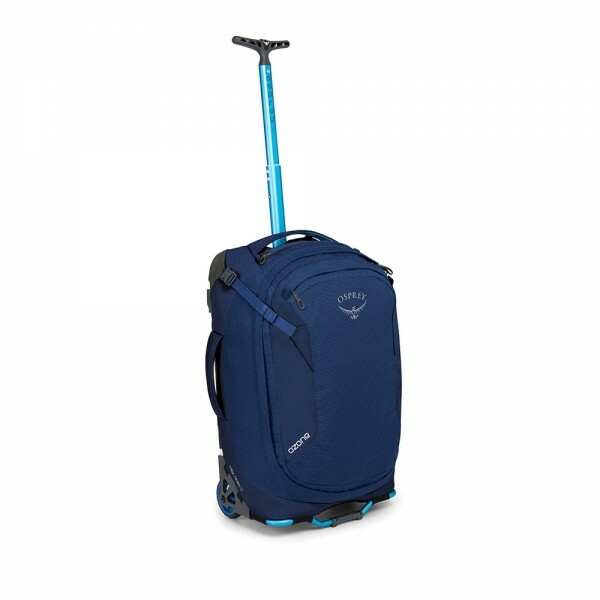 Interesting features: Osprey is best known for its trekking rucksacks, and its wheelie bags are just as good. It comes with an extendable ‘T’ handle, a variety of compartments to help you keep everything organised and an internal compression strap system. The best part? The unlimited lifetime warranty for defects and damage: Osprey their motto is “Any Reason. Any Product. Any Era.” You can’t beat that. Five suitcases under £50, for those who want a practical and durable bag, without a jaw-dropping price tag. 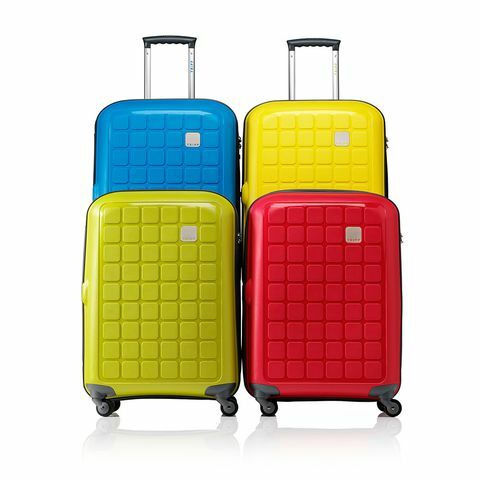 Perfect for the heavy packer who wants to chase the sunshine around the world with a stylish and affordable suitcase. 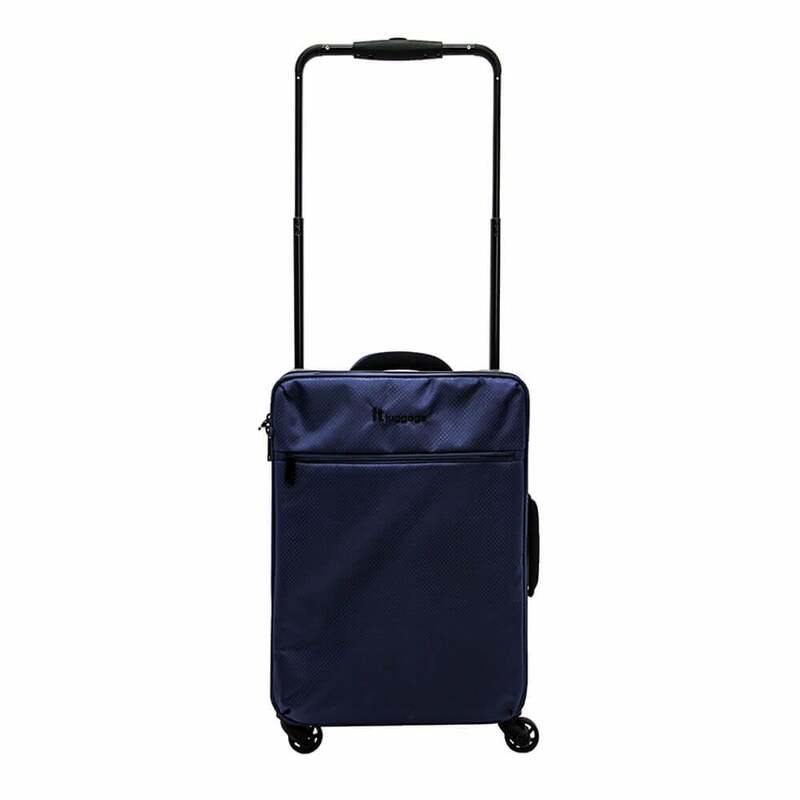 Interesting features: at less than £40, this carry on is an absolute steal. This soft rolling bag makes the most of most airline’s strict luggage policy and complies with Ryanair, Easyjet and Norwegian airlines regulations, just to name a few. So lightweight you’ll have to look back to check it’s still there. Interesting features: with an ultra-lightweight design, it’s only 1.75kg, it also comes with four internal mesh pockets and two zipped front pockets, helping even the most disorganised traveller to easily find the travel documents, charger or hairbrush. The four easy-glide skate wheels will make it a breeze to wheel through airport terminals. An absolute bargain that looks more expensive than it actually is. Interesting features: it comes in plenty of attractive colours, such as wine, golden silver and racing green. The cabin case is compatible with the vast majority of European airlines, so you won’t have to worry about overzealous airline staff. A pretty option, perfect for weekend trips away. Interesting features: lightweight and with 4 wheels, it packs in all the must-have of a cabin bags. Don’t let the low price put you off, it has plenty of 5-star reviews on Amazon!. 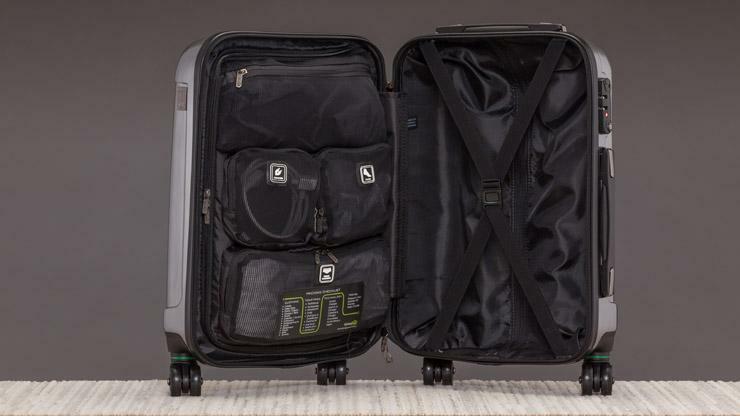 Interesting features: weighing in at only 2.7 kilograms, this is one of the most lightweight suitcases on this list. Available in 5 different and bright colours, it might not be the sturdiest carry on available, but it surely does the job if you’re strapped for cash. Buying the right bag is only the first step, making sure it’s safe while you go about exploring the city is the second. 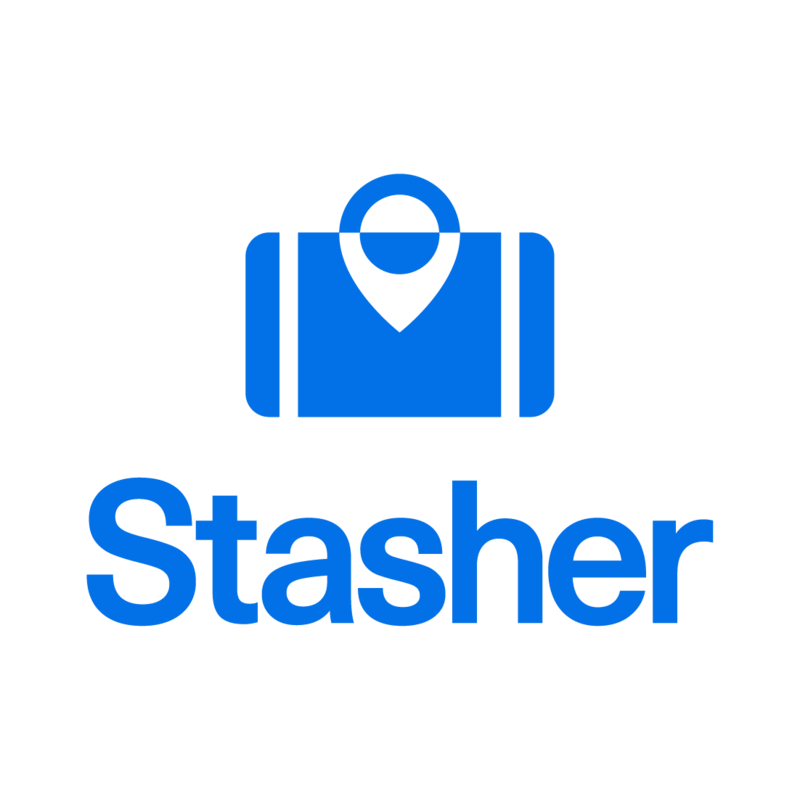 Store it with Stasher, we have hundreds of luggage storage locations worldwide where you can easily drop your bag off. Want to Make £80k a Year Travelling the World? This Might Be For You! Weekly Product Spotlight: SpareFare – Sell Your Unused Holidays!